Steal the show in this embroidered lace ball gown. 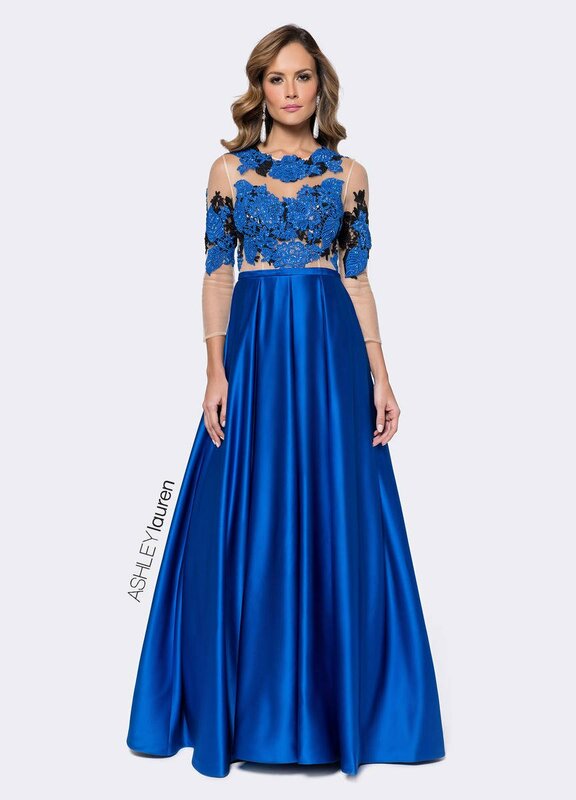 The illusion bodice and sleeves are adorned with royal blue and black lace applique embroidery and rhinestones. The ball gown skirt is complete with pockets.